Shakedown Films is based in Hamburg, Germany, and Dublin, Ireland. We create films that combine strong original stories with striking visuals, and that appeal to an international audience. Our focus is on films that are at the intersection of genre and arthouse cinema. We specialise in drama, psychological thrillers and supernatural horror, and are currently developing a slate of English and German language feature projects. Please see the in production and in development sections for more information. Raised in Melbourne, Australia, Ninon is bilingual English/German writer and producer. She completed a Master’s degree in philosophy in France, after which a postgraduate degree in film from the Hamburg Media School kicked off her screenwriting career. Since then she has worked as writer, line producer and producer on numerous short films which screened at many international festivals. 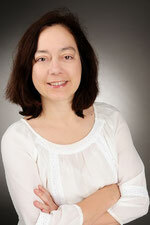 She has also worked as a storyliner for a German daily TV series and as an advertising content creator. In 2007 she established Shakedown Films with Michael O’Connor. She wrote and co-produced their award-winning feature SLEEPING DOGS and is currently developing a slate of feature projects. Michael’s background is in engineering and architecture which included restoring castles and stately homes in Ireland. He began his filmmaking career by attending a New York University screenwriting course in Dublin. Having discovered his passion for filmmaking and moving to Hamburg, Germany, he went on to write and direct numerous short films and trailers. Since setting up Shakedown Films with Ninon Schubert in 2007 he has directed and co-produced the award-winning feature SLEEPING DOGS. He is currently shooting an documentary essay film and developing a series of feature film projects. His love of strong drama and working with actors has also lead him to branch out into stage direction – recently directing plays by Arthur Miller and J.B. Priestley. Mairin is an experienced entrepreneur, and marketing executive in the impact investment, technology and green sectors, having co-founded companies that have achieved economic, social and environmental returns. She has also lectured Marketing and Business Development to Masters Level. Having completed an MBA in Marketing in the Hagan School of Business, New York, she created her own interior art design company, IAD or Inside Art Design. Her lifelong passion for the Cinema, the Arts and Creative Writing led her to get her second Masters in Creative Writing (MA) in the University of Cape Town, South Africa. Joining Shakedown Films has enabled her to combine her passion for filmmaking and expertise in marketing.